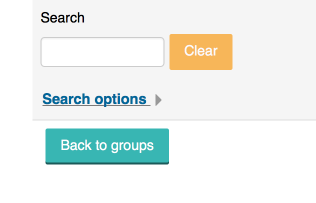 1.1 In the 'Administration' block, click 'Users', then 'Groups'. 1.2 Click 'Create Group' to create a single group, or 'Auto-create groups' to create multiple groups. 1.3 Provide a name for the groups. 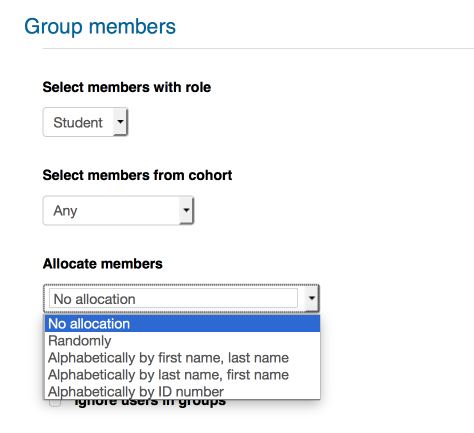 1.4 Indicate how you want students allocated to the groups. Choose 'No allocation' to manually allocate students. 1.5 Click 'Submit' to save your settings. 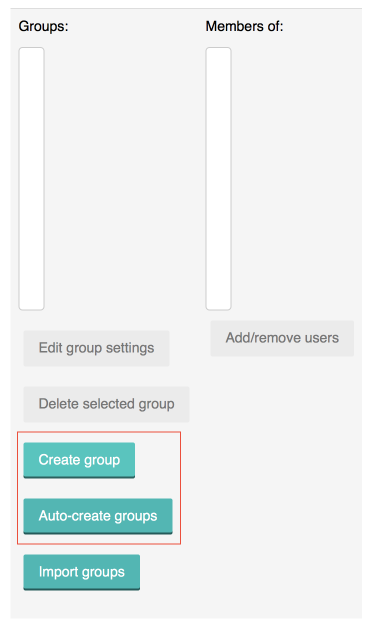 2.1 From the list of groups, click on the first group, then click 'Add/remove users'. 2.2 Select the student(s) from the list on the right, and click 'Add'. 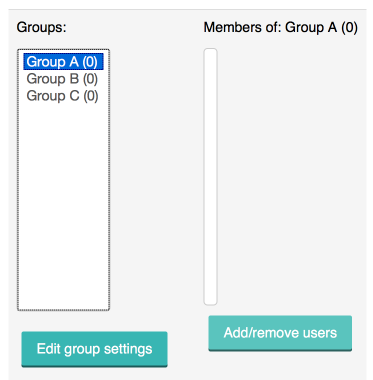 2.3 Click 'Back to groups' to select the next group. 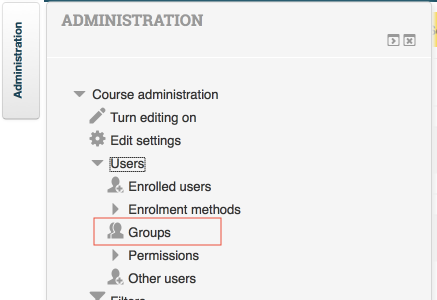 In the 'Administration' block, click 'Users', then 'Groups'. 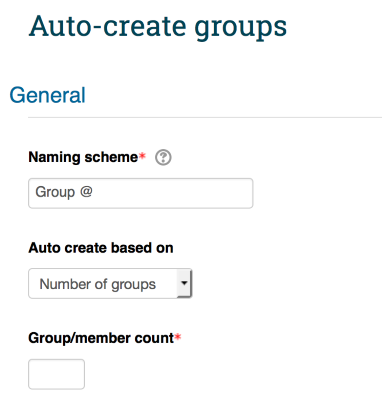 Click 'Create Group' to create a single group, or 'Auto-create groups' to create multiple groups. Provide a name for the groups. Indicate how you want students allocated to the groups. Choose 'No allocation' to manually allocate students. Click 'Submit' to save your settings. From the list of groups, click on the first group, then click 'Add/remove users'. Select the student(s) from the list on the right, and click 'Add'. Click 'Back to groups' to select the next group. This page was last edited on 12 August 2016, at 13:06.